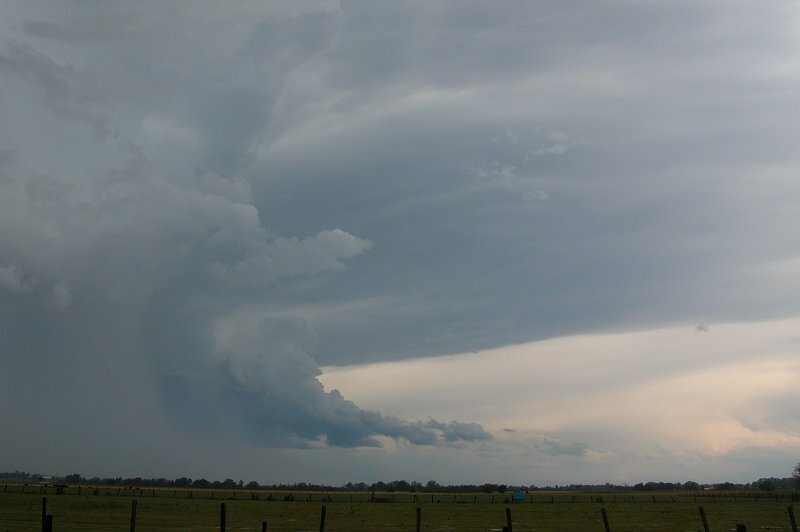 It had been a fairly sleepless night after what had been experienced with the previous day's supercell which we saw develop from congestus to a severe supercell over a three hour period! Before we all left Michael's place after yesterday's chase we had a quick look at the setup for this day. We couldn't contain our excitement when we looked at what appeared to be one of the most volatile setups we had seen in a long time!! I woke up at around 6am to the sound of gusty winds. It was the sort of sound I'm used to waking up to after a Sly change has moved through. I got up, kinda worried that the Sly had already moved through. When I realised it was a Nly that was blowing so strongly, I was once again filled with excitement of the day to come. I went through the models to see what they were suggesting. LIs were around -8 with cape around 3000. The wind shear profile was one of the best I had seen. 15kn N @ 1000, 20kn NW @ 925, 30kn SW @ 850, 55kn W @ 500 and 60kn W @ 300!!! Perfect speed shear and great low level turning. Moisture profile was just about perfect, with plenty of low level moisture and a dry mid-upper level atmosphere. In fact, the setup was the closest to the "perfect" setup that I had ever seen! 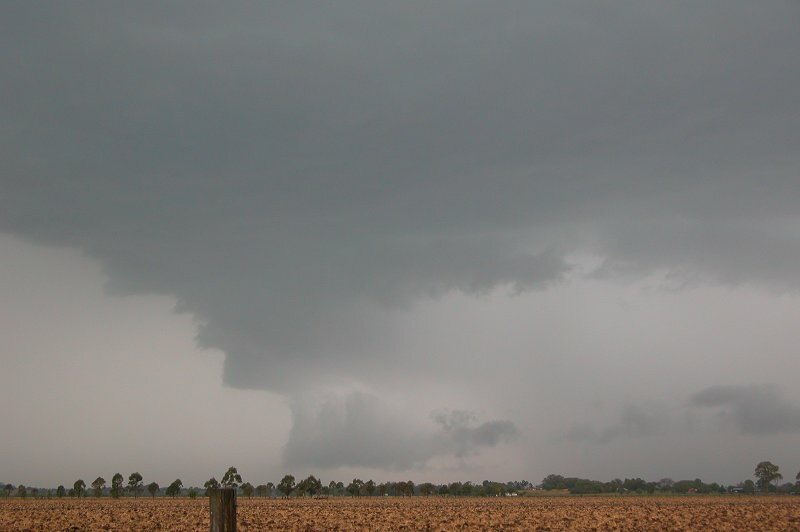 It was shaping up to be a huge day, with explosive supercells, giant hail and tornadoes all on the cards! 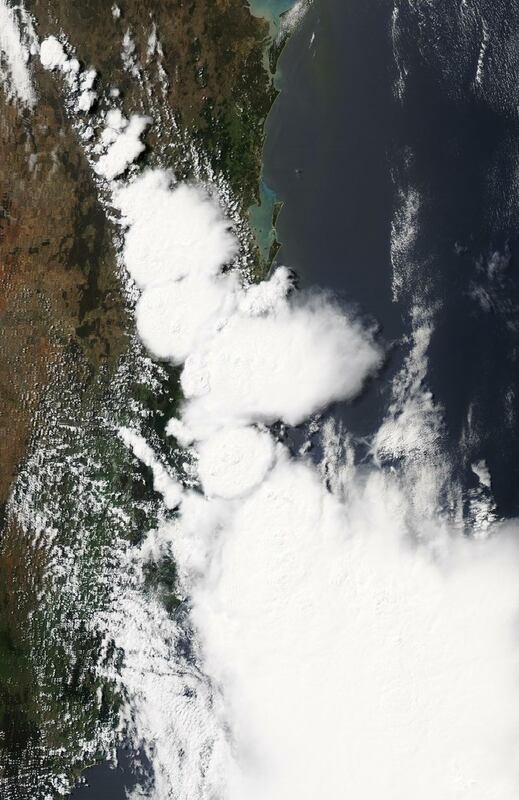 Severe storms developed on the Mid North Coast during mid morning, and by around 11am, storms were forming near Dorrigo and moving east towards the coast, with absolutely massive cores of red on radar in the storms as they moved out to sea. 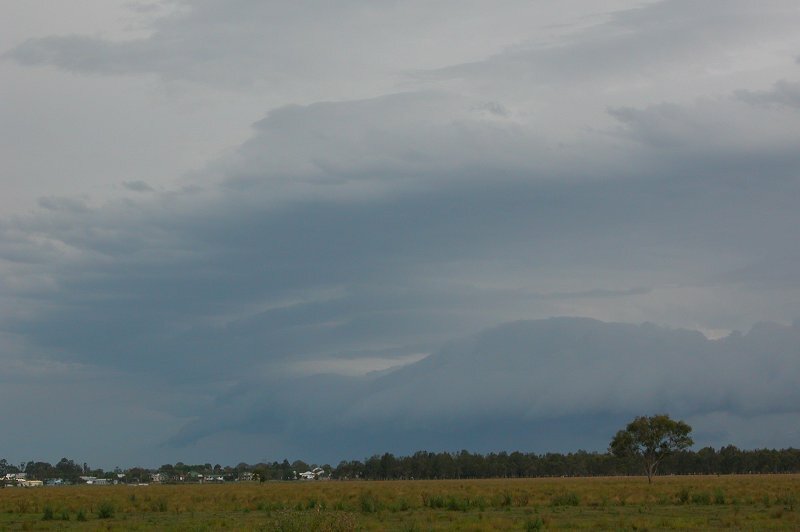 Storms were rapidly developing in the Northern Rivers by 11.30am so Michael picked me up and we headed for Parrots Nest. 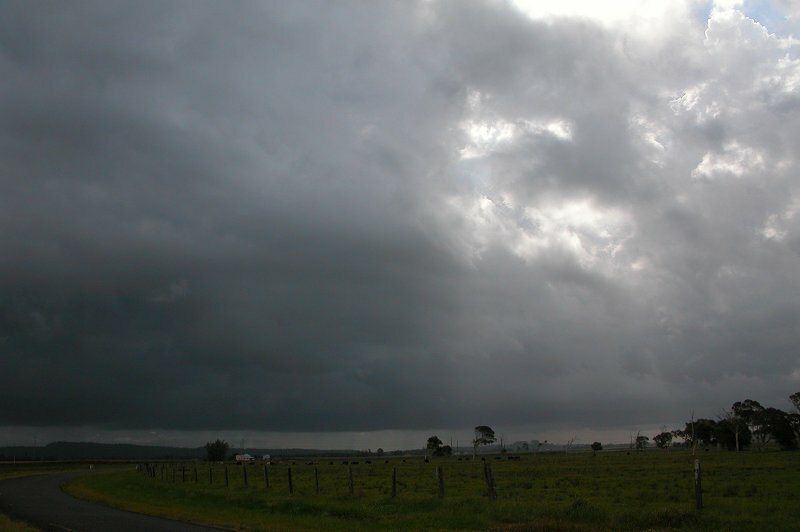 It was a little discouraging on the drive out, as while storms were developing everywhere, it seemed they were developing too early and too quickly, with most cells looking fairly disorganised. We stopped at Parrots Nest, and while there were storms from the south around to the north west, nothing looked really good. So we headed south towards Coraki so that if new Cjs to our SW developed, there was a chance we could intercept them. 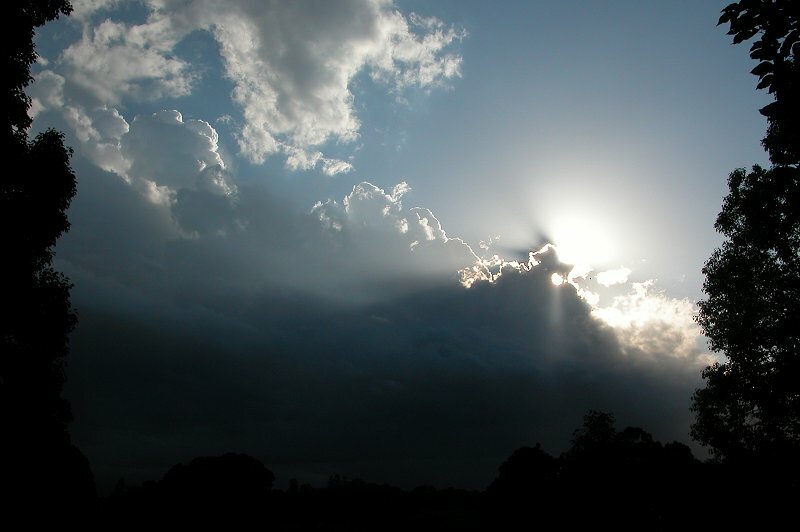 On the way to Coraki, the NW sky became darker and darker. 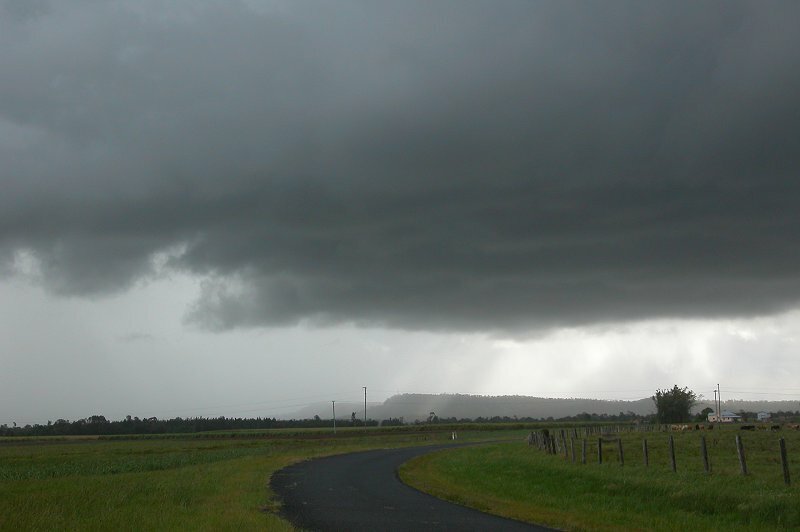 A quick radar update revealed a large area of rain and storms moving towards the Lismore region. So we turned around and headed after that. 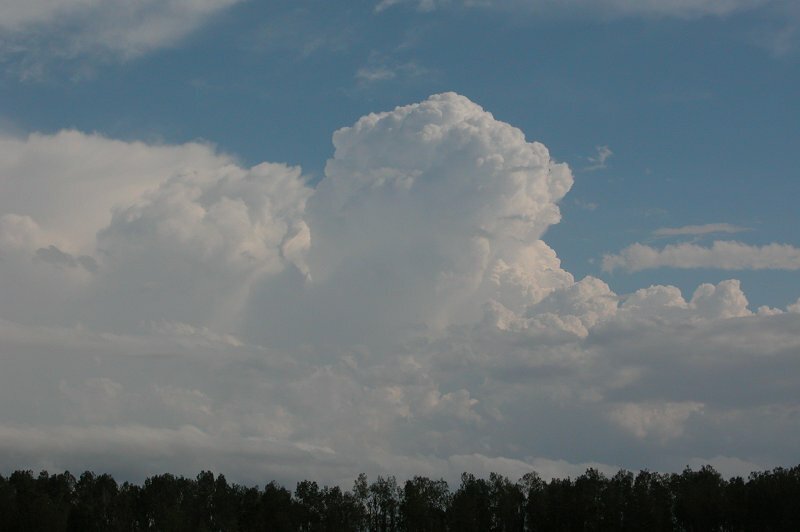 As we reached Parrots Nest again, storms to our south were exploding, now looking severe. 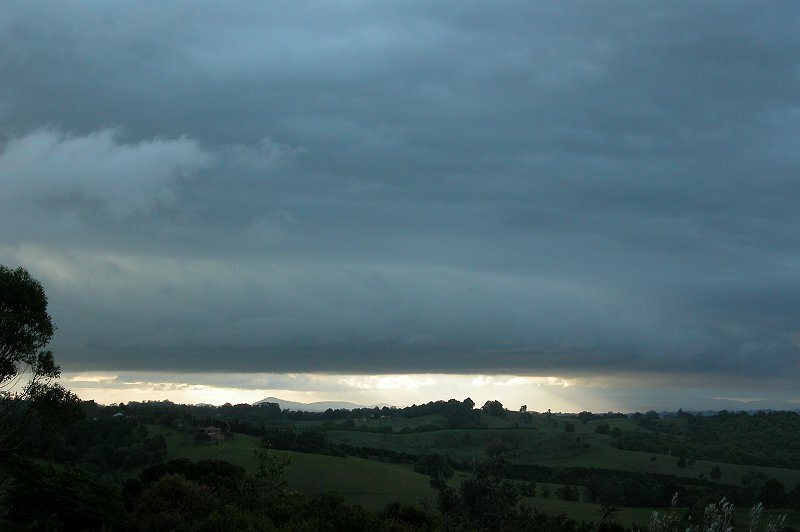 However the storm that was heading towards us looked very disorganised. We headed west a little bit to Fig Tree Lane. 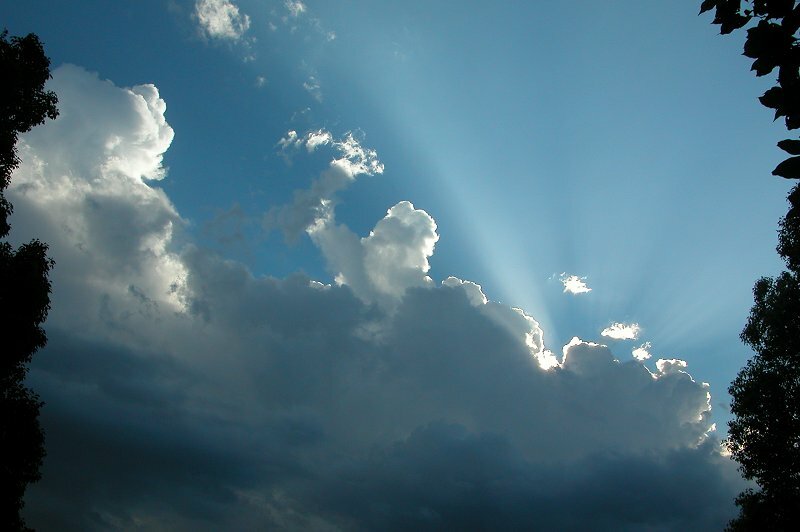 We could see no features on the approaching storm. Only the occasional CG was visible ahead of the rain. We progressed up the Summerland Way and moved into the rain area of the storm. We only intercepted its southern edge though, and didn't get into the core, experiencing brief heavy rain and observing a few CGs. Rather disappointing. 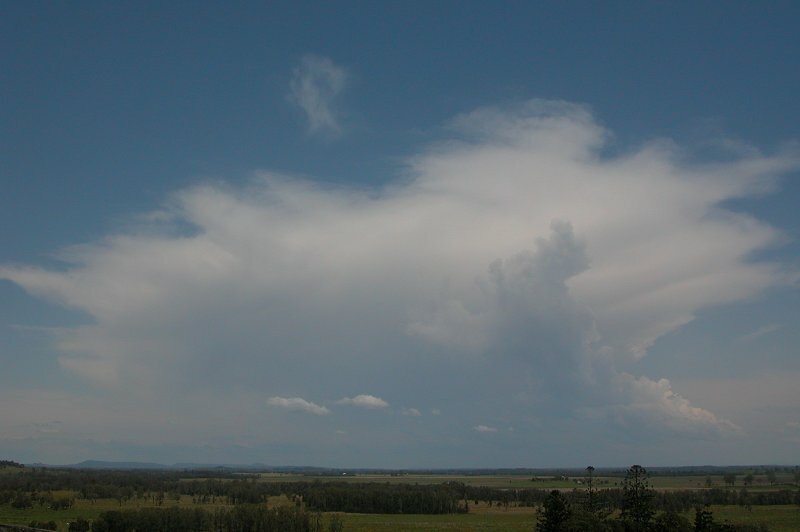 But attention turned to a new, rapidly developing cell on the Richmond Range. 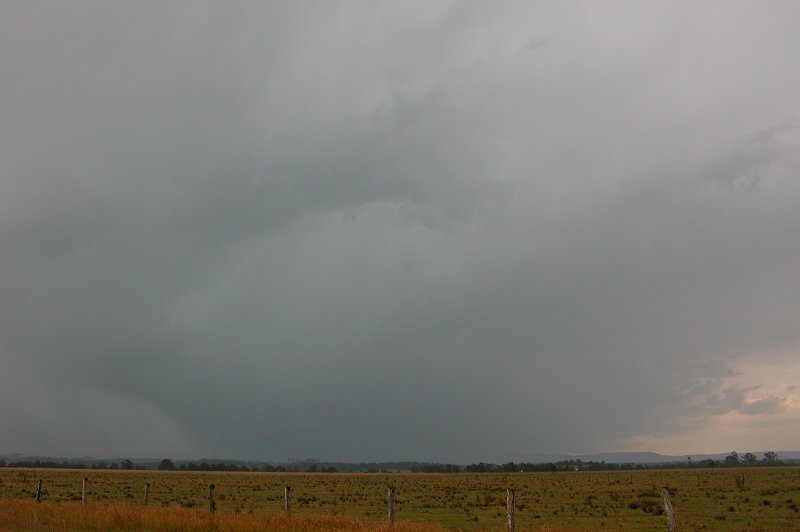 It had a nice rain free area that had frequent, branched CGs dropping out underneath it, as well as very heavy precipitation next to the updraft region. This is what we had come to see! 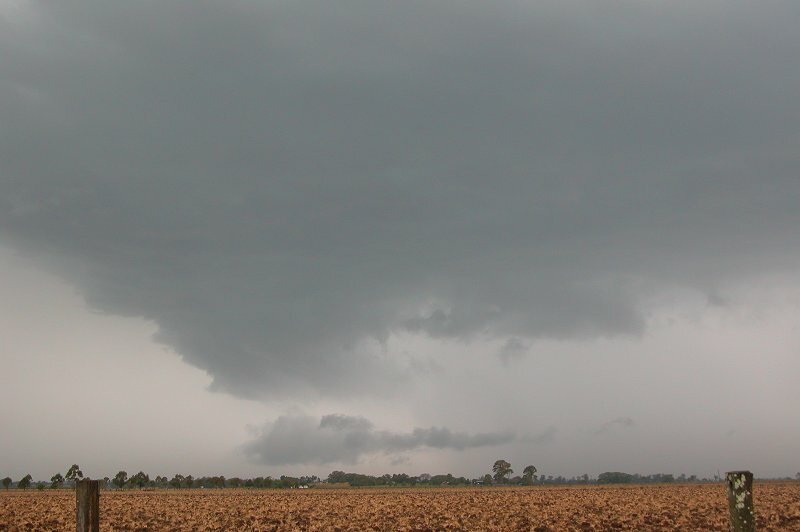 At the same time, what looked to be quite a nice funnel formed at the back of the storm that had just passed us. Whether it was just a lowering or it was actually rotating, we'll never know! 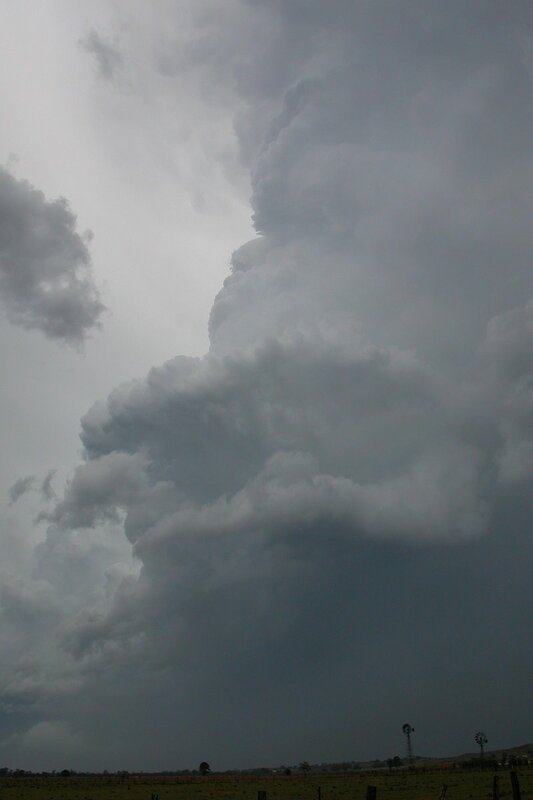 The cell we were now concentrating on was moving closer to us quite quickly. 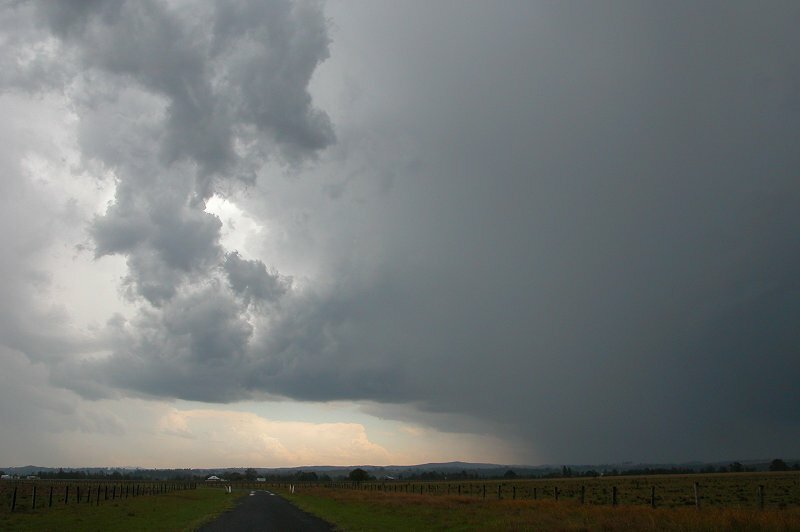 It looked very intense and now had a green tinge, so we shot north towards Kyogle. We kept just ahead of the storm and watched it pass to our south. 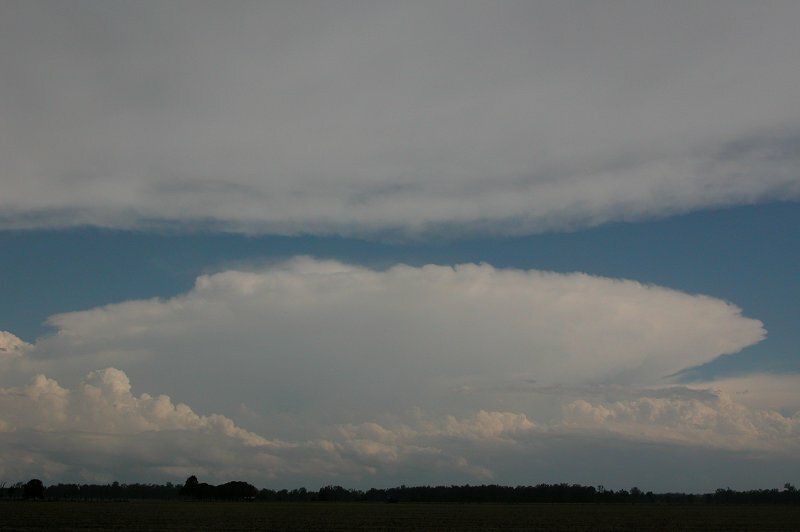 The structure of the storm changed quite quickly, first observing what looked like a rain free base or possible meso and then developing into a gustfront type feature. It gave quite a few close CGs that gave some great loud bangs! 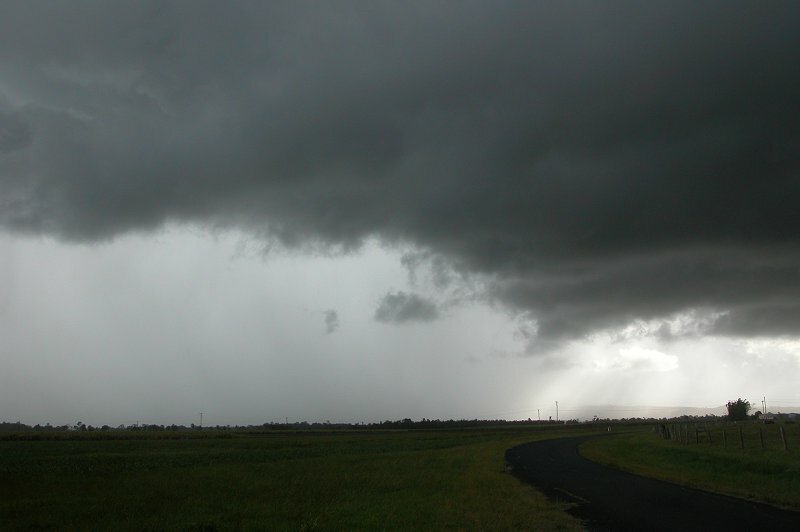 We drove in behind the storm hoping to find some large hail, but there was none. 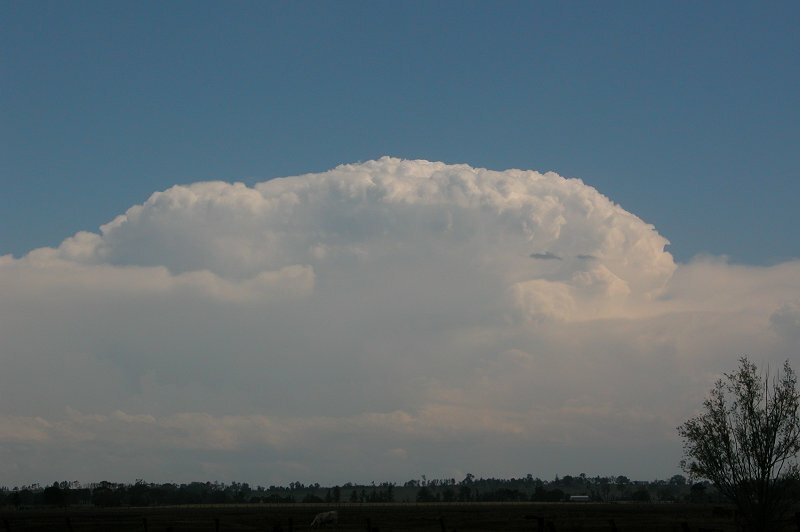 The cell was just too immature to be producing large hail yet. 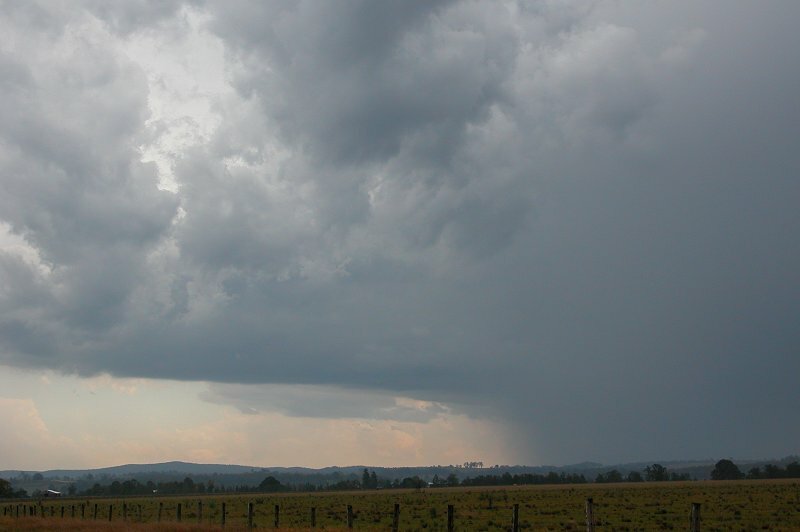 We stopped and watched as the storm pushed on towards the ENE. 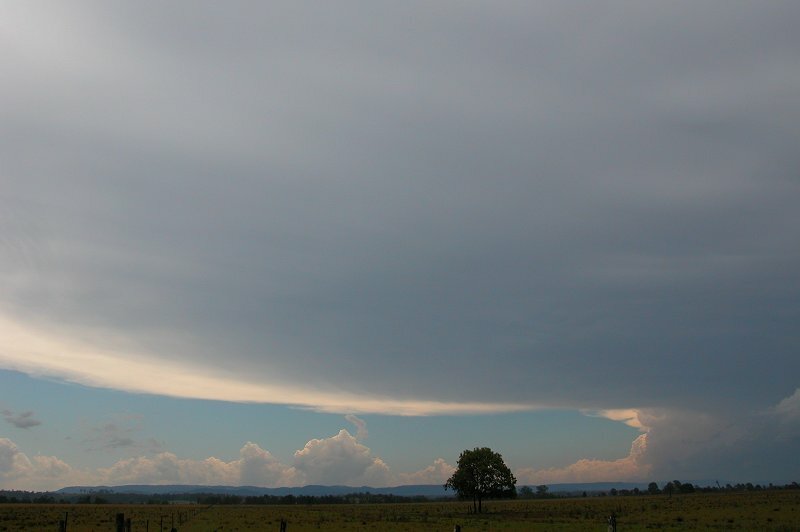 Once the rain cleared it revealed large, solid towers at the back of the storm, and we came to realise we were under a HUGE anvil shield. It was quite an amazing feeling! 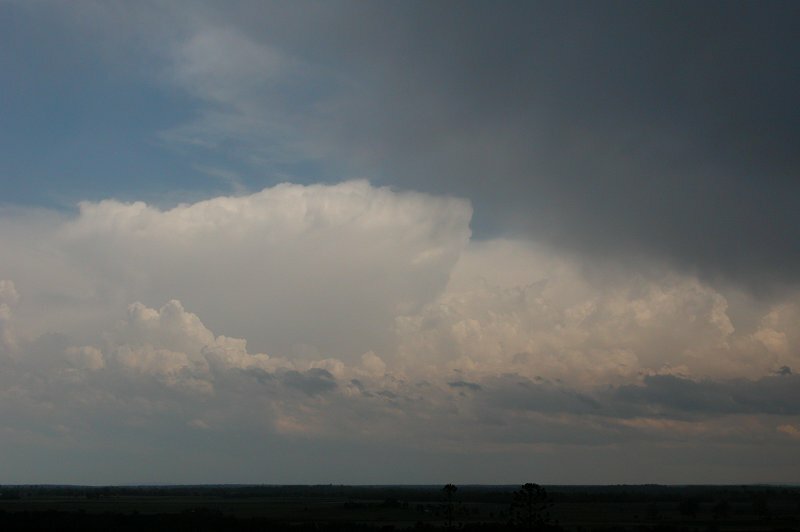 We sat and watched this cell move away as well as watching an explosive supercell develop to our SE. 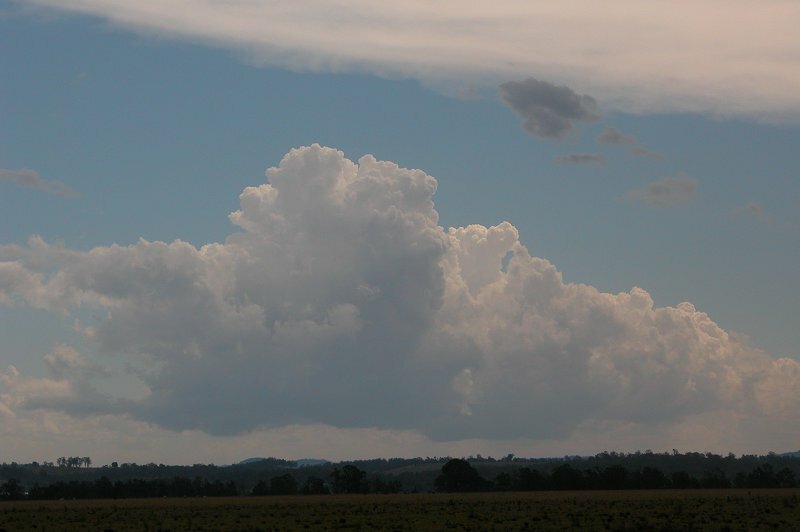 We had also hoped that some small convection to our SW would develop into another storm, but this wasn't to be. We watched in awe though as the cell to our SE just exploded like a bomb, with a solid cumuliform anvil pushing out and massive overshoots protruding through the storms top! 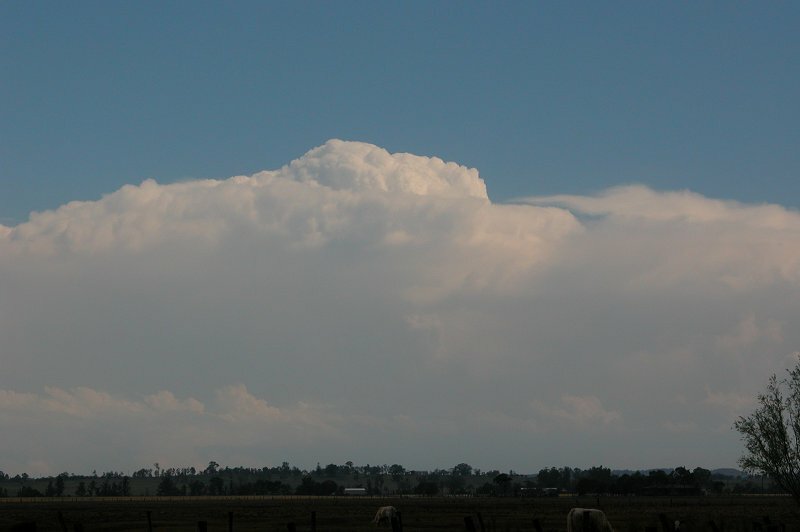 It turns out Jimmy Deguara and David Croan were undreneath this supercell and encountred gorilla sized hail (check out their report). We guessed the storm was forming on the Sly change which was moving up the coast, so we headed south hoping more storms would develop on the change. 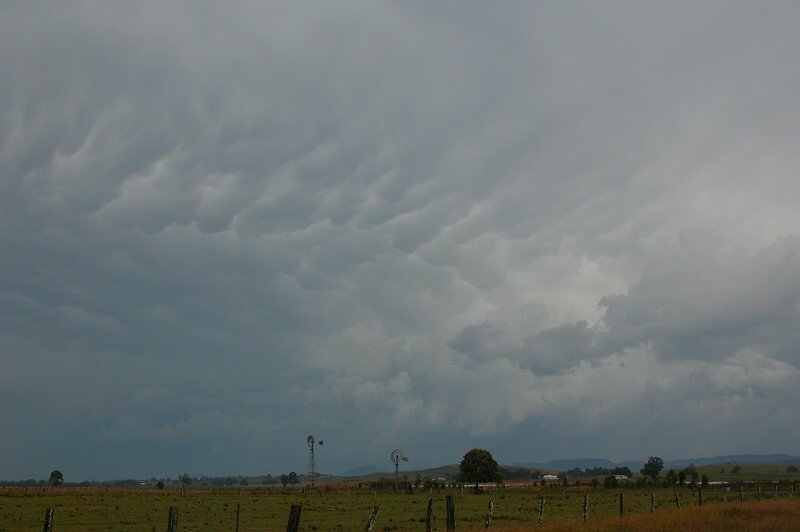 We left behind the cell to our NE which was giving a nice display of mammatus. 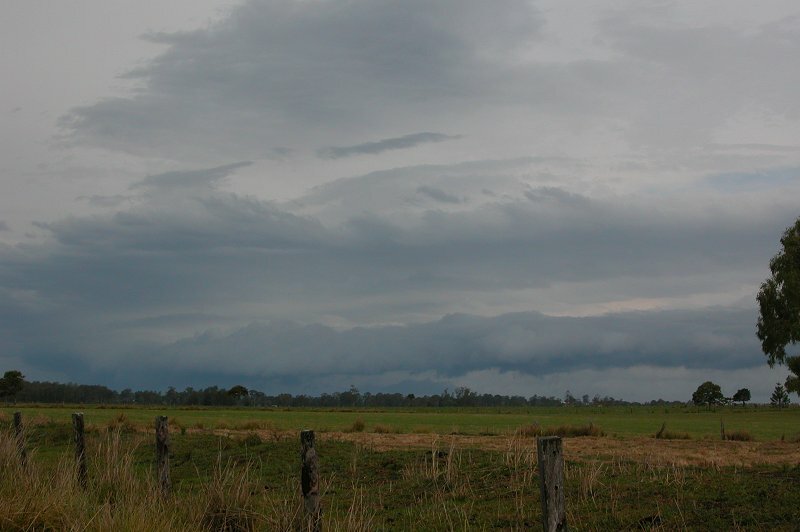 On the trip down we pulled over and noticed a roll cloud that had formed ahead of the activity further south. As it turned out, it was marking the Sly change. 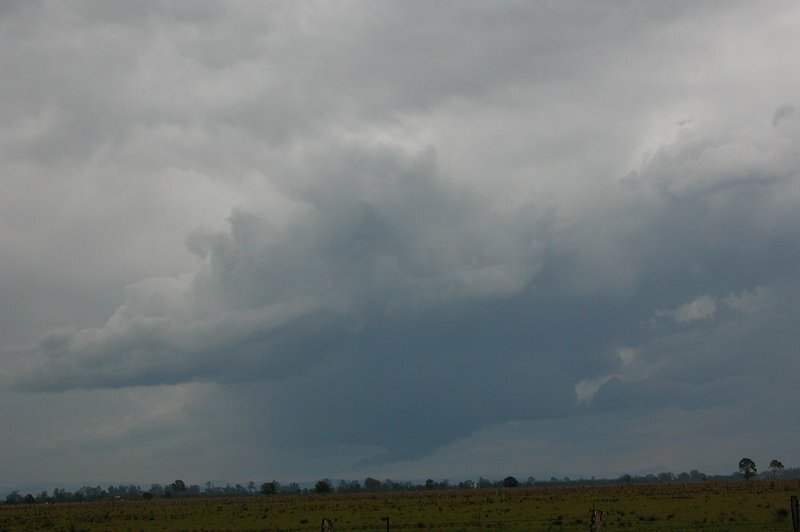 We continued south to Woodburn and stopped as weak storms moved over us. We received some very heavy rain and a bit of thunder before heading home. After getting home a line of storms moved up from the south, giving heavy rain, strong winds and some close lightning strikes. Once this passed, all activity cleared out. Overall I felt disappointed about the day. 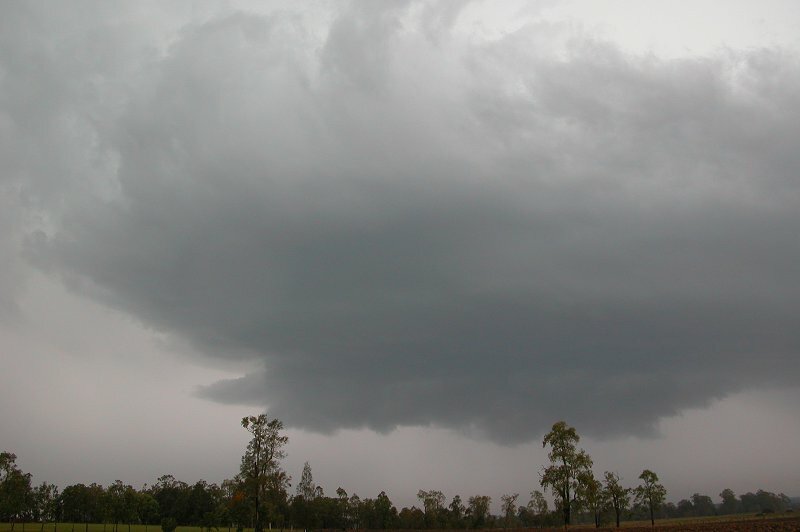 We hadn't really experienced any amazing storm features, while to our south near Maclean, hail up to 10cm fell and to our north, cricket ball sized hail pounded the Gold Coast. 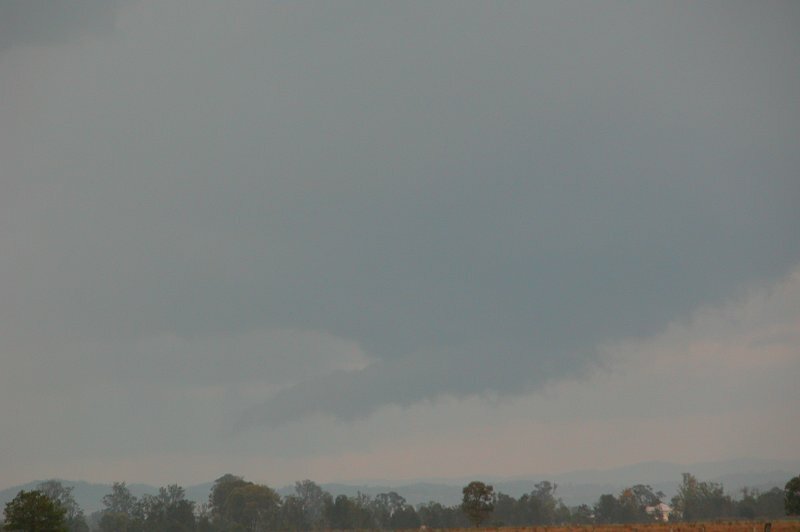 Not to mention a supercell producing an F2 tornado at Stanthorpe!!! 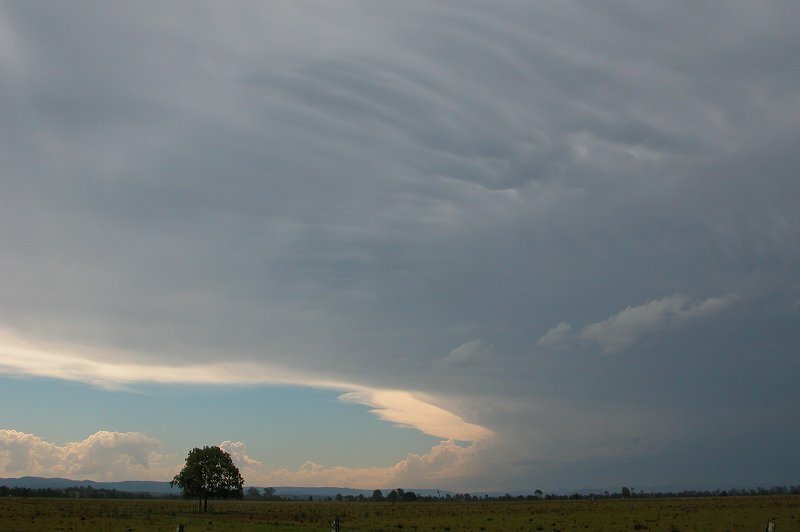 It was an amazing outbreak and did produce some of the most severe storms this part of Australia has seen for some time, but Michael and I just hadn't managed to get amongst it. Still, considering it was the third day of severe storms in a row, we were pretty content by the end of it all! 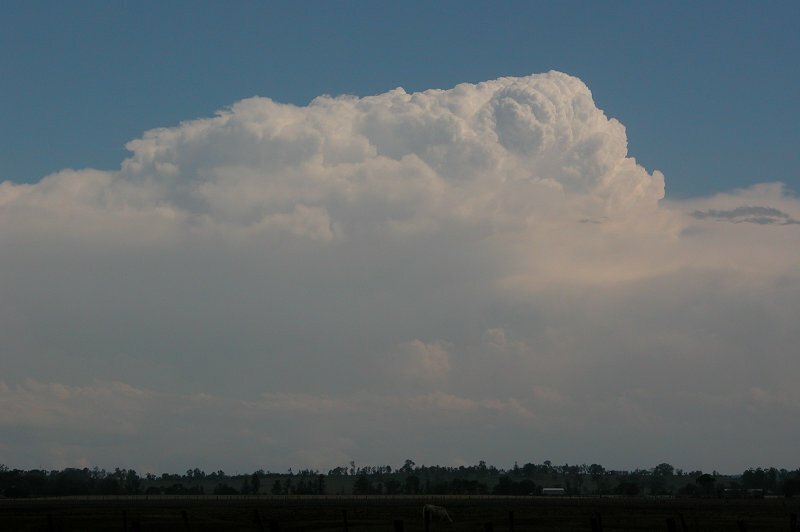 Report showing pictures viewed from in the supercell.